He was a man who claimed to have abandoned all five of his children, as newborns, at the door of an orphanage. He broke with nearly every friend he ever made, including some who sacrificed dearly for him, denouncing them in the most hateful and vitriolic terms. He wrote that law-breakers deserved to be treated as rebels and traitors. 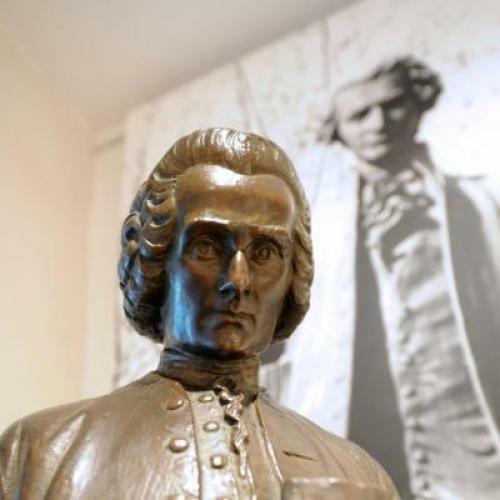 He referred to his first and most important lover as “Mama.” All in all, the Geneva-born writer Jean-Jacques Rousseau, whose three-hundredth birthday falls on June 28, was a hard man to admire. All in all, it is quite a heavy indictment to press against a man who never held political office, who lived in obscurity until his late thirties, and who spent much of his remaining time on earth in various forms of uncomfortable exile, or even on the run from the law. And most of it is simply ridiculous. As with any truly great writer, it is foolish to judge Rousseau by the instances where people tried to follow his advice literally, still less by the harmful things done in his name (by which standard Jesus Christ does not exactly come off unblemished.) Rousseau’s influence on modern culture has been far too vast and multifaceted to squeeze into reductive categories of “positive” and “negative” and even his most misguided prescriptions often came accompanied by profound and poetic insights. And his influence came in a remarkable range of fields: not just in political philosophy and literature, but in what we now call anthropology, education, psychology, religion, and also in the performance of a very new sort of public role, that of the celebrity intellectual. Rousseau was one of a very small number of writers who embodied something fundamental about the modern Western world, in all its promise and in all its peril. His anniversary is not simply an occasion for recognizing his achievements, but for looking deeply into ourselves.